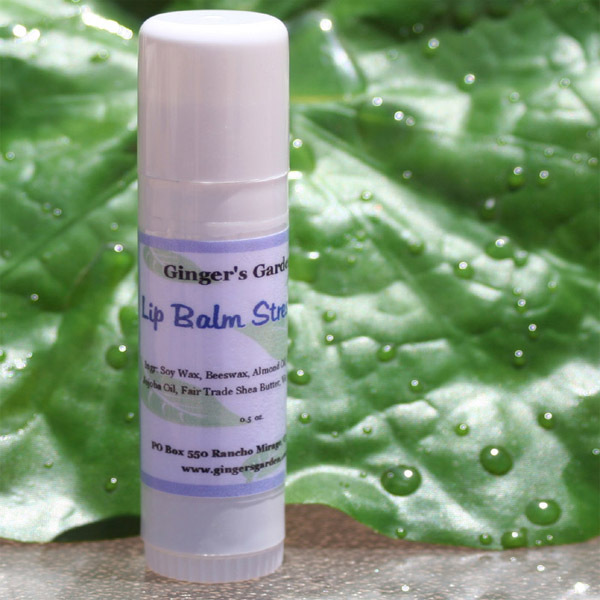 Made with with pure mango butter, this natural lip balm contains wonderfully nourishing moisturizing ingredients for your lips such as Jojoba, Coconut and Sweet Almond Oil. Made with pure mango butter, this natural lip balm contains wonderfully nourishing ingredients for your lips such as Sweet Almond Oil, jojoba and antioxidant Vitamin E. It has a smooth and creamy consistency. DOES NOT contain any petroleum products, artifical colors or preservatives. Ingr: Soy Wax, Beeswax, Almond Oil, Coconut Oil, Jojoba Oil, Mango Butter, Vit. E, Natural Flavor Oil, Sucralose.